Most Californians assume that you actually have to drive a motor vehicle to be charged with DUI in this state. After all, DWI stands for “driving” under the influence. But the truth is that you don’t have to be driving to be charged with DUI. If you move the car even a foot for any reason, and you’re intoxicated when you move it, you can be charged with DUI. If you face the charge anywhere in southern California, you’re going to need the skilled help of an experienced Orange County DUI defense attorney. Another little-known aspect of California’s DWI law is that a police officer does not actually have to witness you driving or moving a car; “direct” evidence of driving isn’t required. Circumstantial evidence is all that a prosecutor needs to charge you with DUI. Let’s say that a police officer sees you stumbling across a parking lot, drunk, with your keys in your hand. 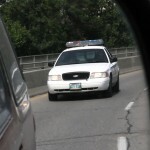 If your car is parked twenty feet away, and the engine’s still hot, the officer has circumstantial evidence that you’ve been driving, and you’ll probably be charged. But what if you’re innocent? What if a friend drove your car to the parking lot, handed you back your keys, and drove away in his or her own car? Your attorney will have to show that the prosecutor came to the wrong conclusion and provide evidence of your innocence. Sometimes, good people trying to do the right thing are wrongly charged. If you’re charged with DWI in this kind of scenario, it’s imperative to have a good DWI defense lawyer. 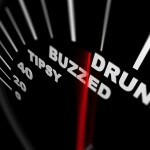 DWI is prosecuted aggressively in California, and a conviction can have genuinely and seriously negative consequences. 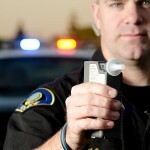 If you’re accused – rightly or wrongly – of DWI in southern California, now or in the future, don’t take any chances. Defend yourself and your future by consulting immediately with an experienced Orange County DUI defense attorney.